Robert Townsend and the Culper Spy Ring. The coast of Long Island was a hotbed of intrigue during the Revolutionary War. The story has been popularized in the AMC series "Turn" with Oyster Bay born Quaker Robert Towsend (1753 –1838), a member of the Culper Spy ring, and credited as inventing modern espionage. 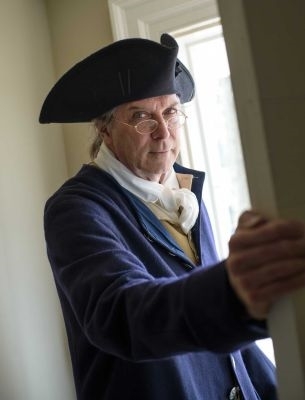 ​On Wednesday, November 16, Michael Goudket, enactor and educator for Raynham Hall Museum of Oyster Bay, home of the famous Culper spy, will bring Robert Towsend to life­ – "secret codes, invisible ink, shady ladies" at the Sea Cliff Yacht Club. Mr. Goudket is a former art teacher and engages in scholarly research for Raynham Hall. The talk by Goudket, planned for our first program of the year at the Sea Cliff Yacht Club, is also being presented at the NY Historical Society. Michael Goudket is also a featured speaker at the Hamilton Grange (home of Alexander Hamilton) and Sagamore Hill National Historic Site. The Sea Cliff Landmarks Association will also announce the location of their popular Holiday Party and future programs for the year. We have several projects in the works for the upcoming year that will bring historical Sea Cliff treasures into the 21st century. Fall is the time to renew membership or join. While our speaker programs are free and open to the public, entry to our coveted Holiday Party is for members only. Contact: Gwynne Lennon 516-662-2821 for additional information.